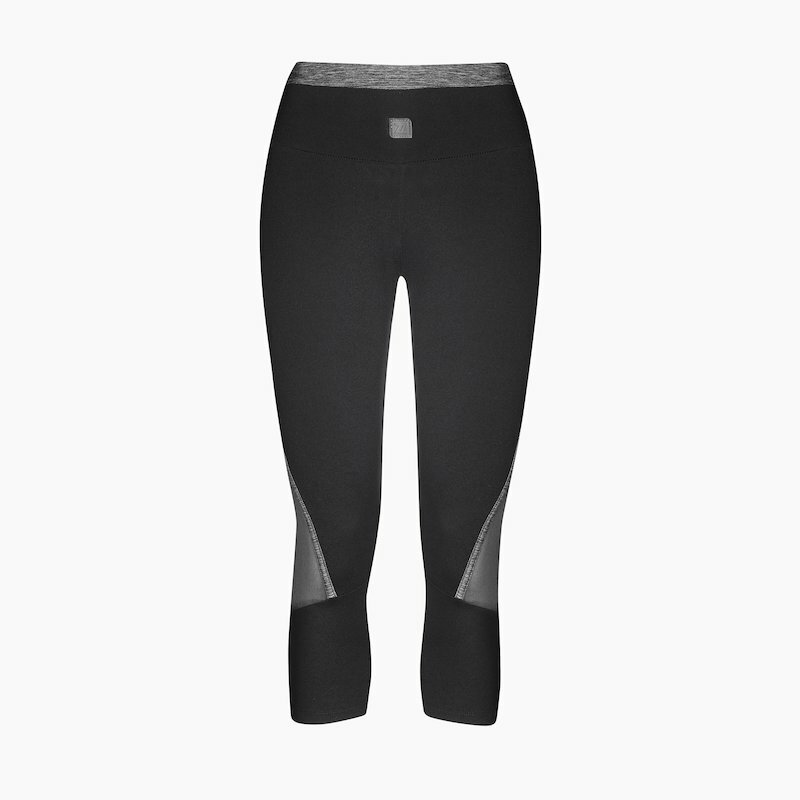 The ADELE black with grey marl mesh capris are absolutely perfect for all your sporty adventures. Featuring the ZAAZEE super-soft performance stretchy fabric with grey marl contour and added knee mesh detail together creates a really flattering feminine shape that pairs well with all colours. They are high waisted with and we absolutely love black and grey together. The stylish mesh look means you can wear them when out and about too. "I am a big fan of Zaazee capris. I confess I wasn't so sure about the mesh on this pair but I loved the grey details. So I went ahead and got these at the Run Fit Expo this year. I am a convert to the mesh as it looks better on. It is nice and cooling. The quality of the fabric is the usual high standard for Zaazee kit and the high elasticated waist is a hit with me. The grey detail is also very flattering to the legs! I would recommend this product."